Disney’s Caribbean Beach Resort has been under a massive refurbishment for quite a while now. 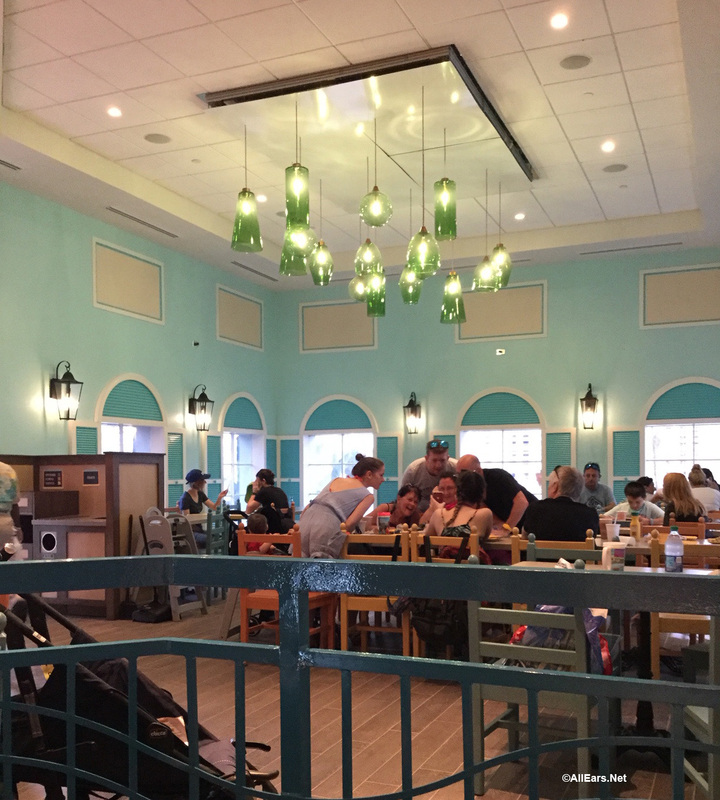 This refurbishment included a “re-imagining” of all of the resort’s dining locations. 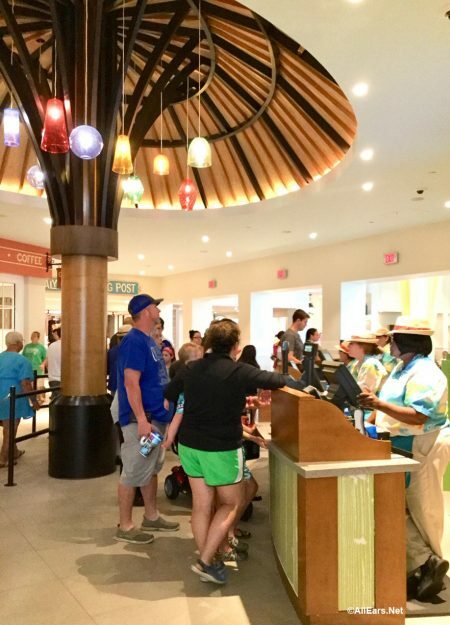 Resort guests have had access to temporary locations during the refurbishment. 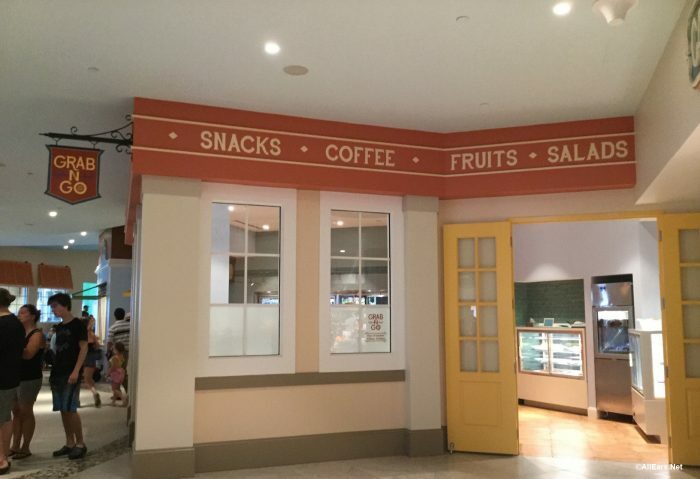 Today, Centertown Market, Banana Cabana, and Sebastian’s Bistro opened at Caribbean Beach Resort. We were there to catch a few opening day photos. 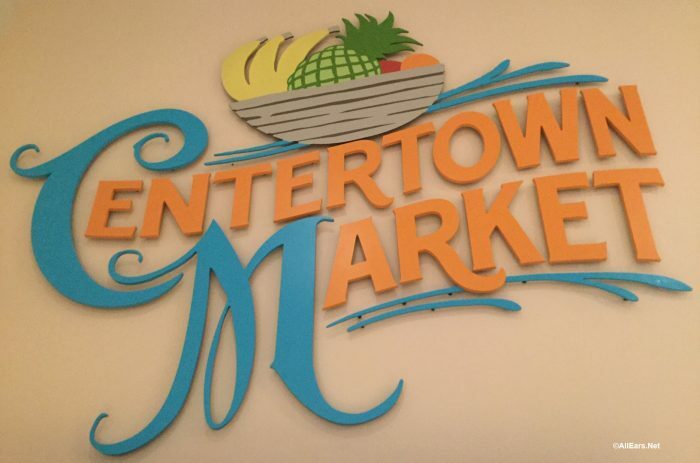 Centertown Market is the quick-serve/counter-service location for this resort offering breakfast and dinner. A grab-and-go area is open all day and serves lunch items as well as the usual snacks and pre-packaged items. Centertown is located in the Old Port Royale building, which is also home to the resort’s reception and concierge services and gift shop. 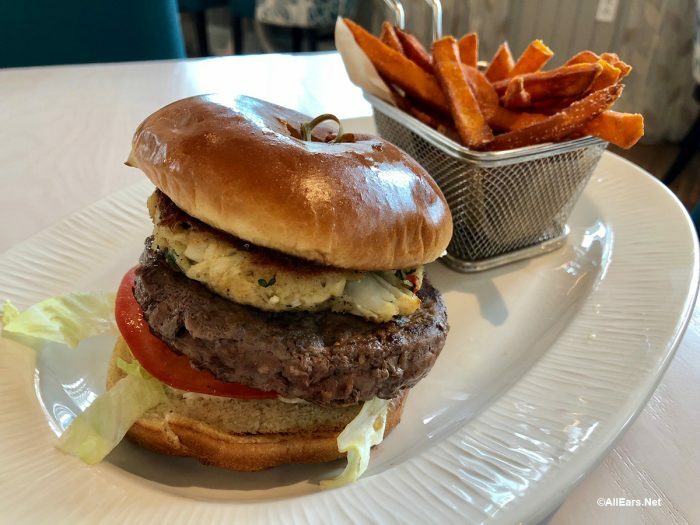 This is very convenient, as previously the reception and concierge were in a completely separate building from the central dining and shopping location. We got a definite Island feel the moment we walked in under the thatched roof/tree with colorful glass lights. The seating area is full of tropical island color and a fun feeling with the decor and shutters. 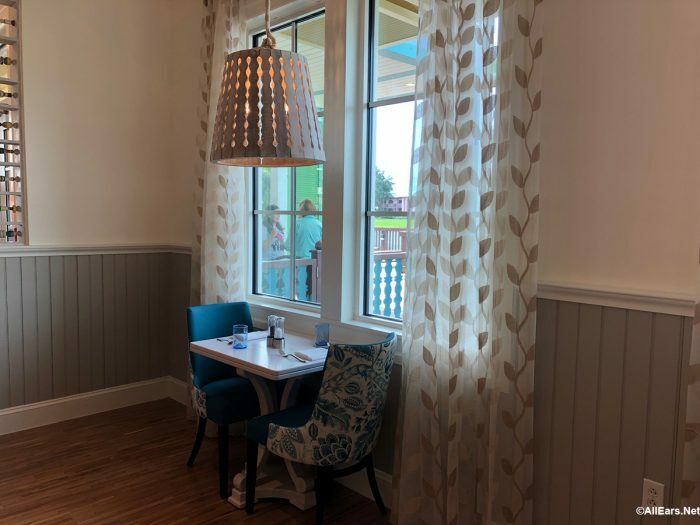 There is also plenty of outdoor seating. 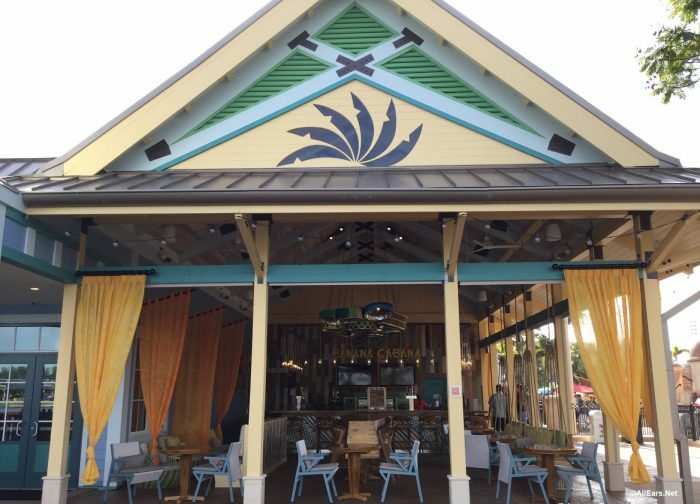 Check back for more photos and menu reviews as we spend the day at this resort! This poolside bar has been transformed! 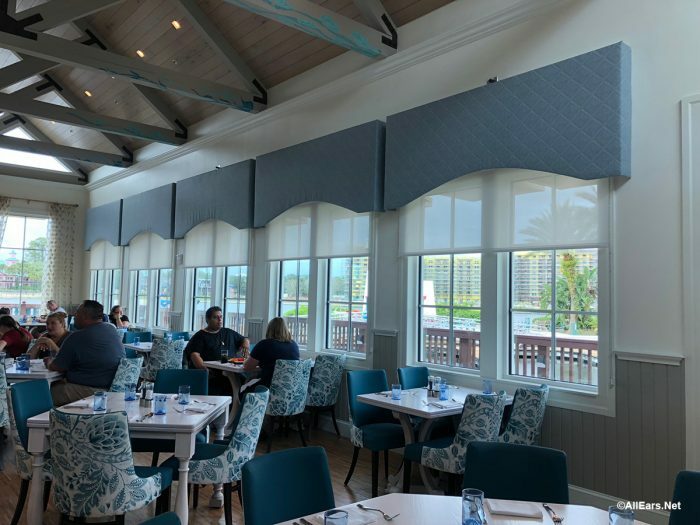 Now, it has three walls and is neighbors with this resort’s newest table-service location, Sebastian’s Bistro. 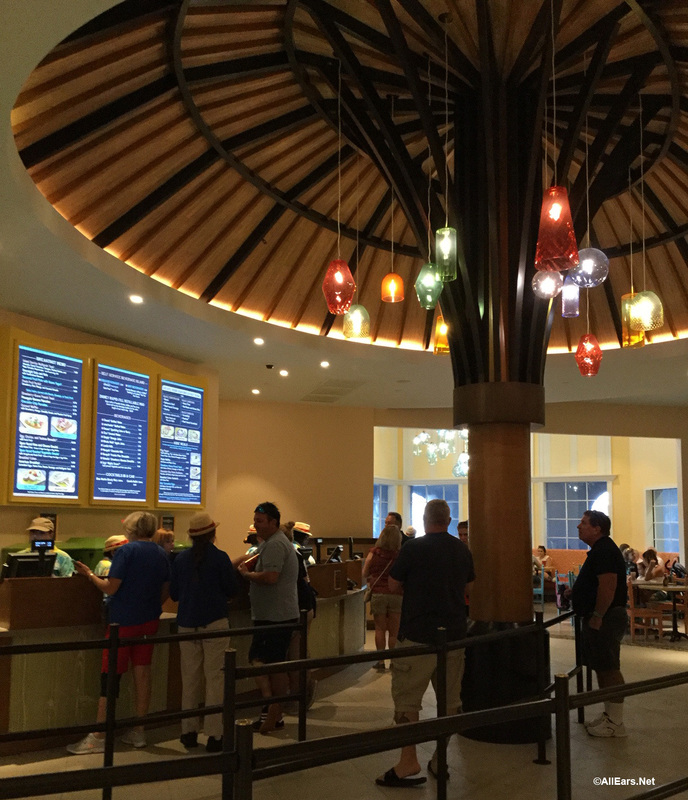 The feel of the islands is all over here from the decor and the open design to the menu! 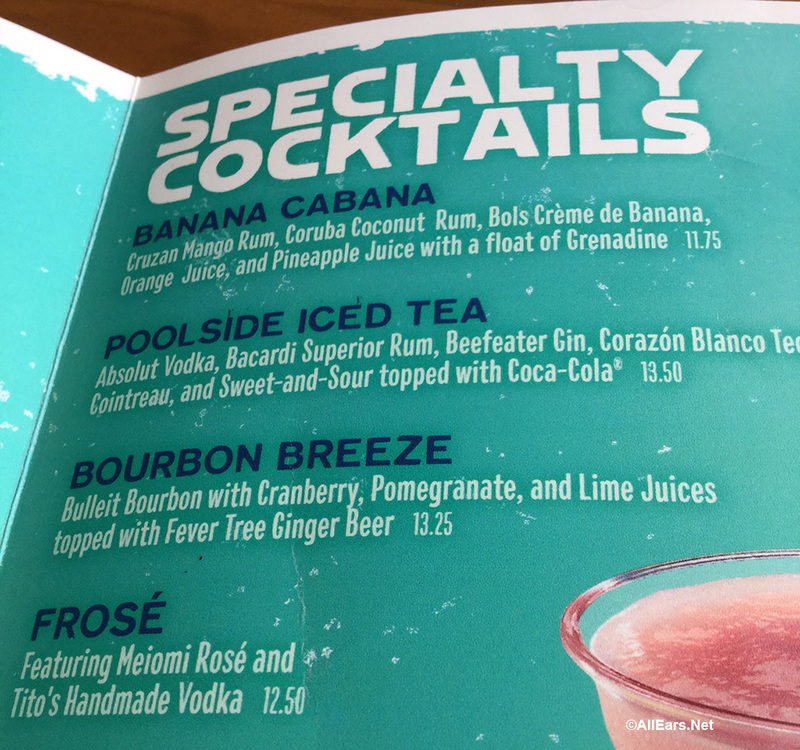 A quick peek at the menu shows tropical-inspired cocktails — perfect for the bar or while relaxing at the pool! Appetizers are also available. 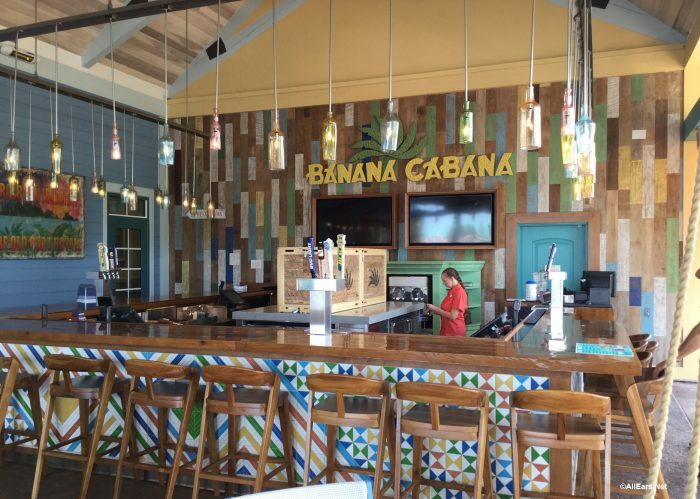 We couldn’t resist the signature cocktail here, the Banana Cabana! Mango Rum, Coconut Rum, Creme de Banana, Orange Juice, Pineapple Juice, and Grenadine — this made a fun drink strong on flavor that we can see ourselves savoring by the pool quite often! 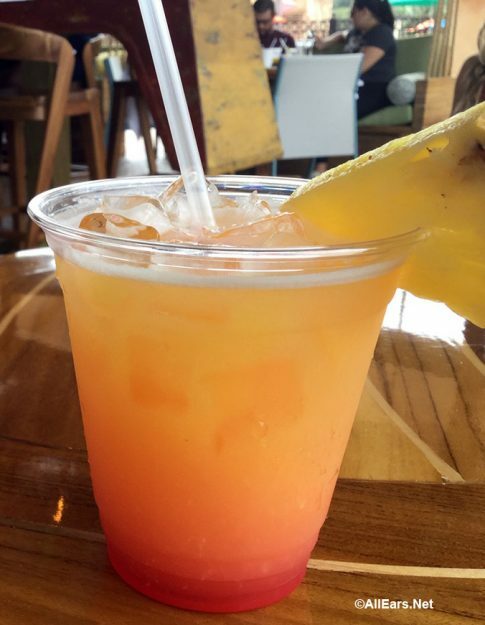 Head’s up — it’s also strong in alcohol! 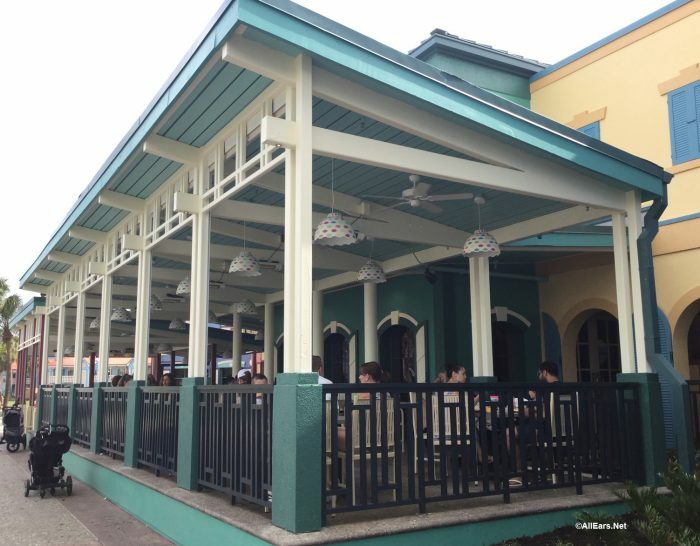 Sebastian’s Bistro is the new table service location. 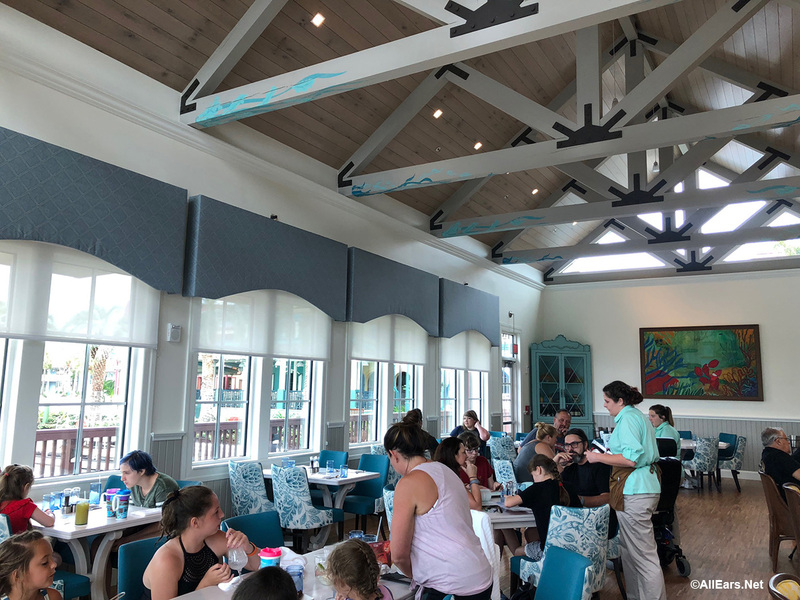 We stopped in here for lunch and again, really like the island feel in the decor. The blue color palette is very refreshing in this bright and airy location. While we were here we tried what we think may prove to be a popular dish, the Crab Cake-topped Burger. Be sure to check back today and tomorrow for our review and more photos of this new location! Stay tuned to AllEars.Net as we bring you updates on these new locations!